At Precision Glass we understand your time is money. Precision Glass can repair or replace any broken or cracked glass in your truck. We strive to make sure your truck glass repair experience is a breeze. We have the tools and resources necessary to make sure you get the best quality glass replacement at the best possible price. 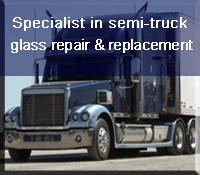 We strive to be the leader in the truck glass repair in the Ft. Wayne and Kalamazoo areas. We realize finding a reputable glass company that will stand behind their service is hard sometimes, but we are confident you will find that company at Precision Glass. It is very important to repair your truck windshield if it is broken. Driving with a chip or crack in your windshield can be frustrating, but more importantly, it is very dangerous. The professional windshield repair and windshield replacement technicians at Precision will have the job done quickly and correctly the first time to get you back on the open road a.s.a.p. We will not only ensure you will be working with the best glass installers but, we will also make sure you are getting the highest quality glass available for the best price. We can replace the glass in any style truck. Precision Glass also offers complete mobile windshield replacement services. We come to you! 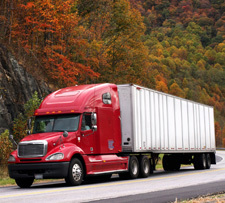 We understand the longer your truck sits idle the more money you lose. Our goal is to provide you with quality, professional glass replacement or glass repair services and to gain your 100% satisfaction. If you are not happy, we are not happy. Please feel free to contact us. A Precision Glass repair specialist will be in touch with you as quick as possible. Precision Glass is approved by all major insurance carriers and will gladly handle your insurance claim paperwork for you. For your convenience, we also offer mobile service. If you're in need of auto glass service, contact us today or click here for a free auto glass estimate.